ART-CHERIE (Achieving and Retrieving Creativity through European Fashion Cultural Heritage Inspiration) is a 30 months Erasmus+ Strategic Partnership project that is developing a vocational training course using Fashion Heritage to inspire professional fashion designers. On 18-19 January 2018, the ART-CHERIE consortium held its meeting at the University of the Arts London – London College of Fashion. The consortium discussed the ART-CHERIE 7-unit course structure, which includes a combination of taught material and self-learning activities exploring womenswear, colour, pattern, menswear, embroidery, knit and the consolidation into a designer portfolio. Two pilot units on womenswear and embroidery will be created as an online course using digital archives as a design resource. This will explore a range of research techniques applied to digital images of museum archives. The pilot unit will be designed by University of the Arts London – London College of Fashion. 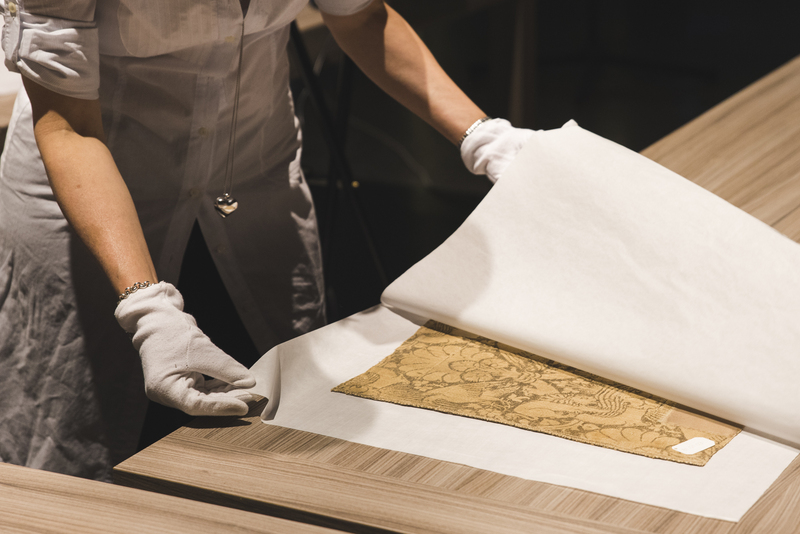 The course valorises the collection from the Museum of Textile Prato by including their newly digitalised garments and fashion plates used within the pilot units. The museum has digitised around 60 garments, as well as other artefacts such as painting, photography and fashion magazines which have been contextualised within their historical period. The new course will be piloted using a Moodle learning platform deployed by GNOSI NGO, a leading e-learning provider in Greece. The project will host three events organised in London, Greece and Italy in 2018 where the Course will be presented to fashion designers and industry professionals.